Home/Posts/Home Improvement/What Kind of Bugs Are in Your House? Buzz off! A guide to the most common creepers you’ll encounter in and around your home. Pests are everywhere, and having a few in your home is pretty much inevitable. But knowledge is power when it comes to critters, says Dr. Nancy Troyano, director of technical education and training at Rentokil Pest Control. When you know how to recognize and prevent an infestation, you can keep unwanted visitors at bay. The first step is learning which pests might become an issue for you. Here are the top pests to watch out for, according to Troyano. Termites and carpenter ants eat away at the foundation, and you have to call a professional to remove them. They’re usually hard to see, but you can still find clues that you might have a problem. In the Northeast, subterranean termites build mud tubes to travel along, and you can usually spot them. Look for brown staining around the house, both inside and out, paying special attention to baseboards in the basement. Other hints are blistering paint, loose siding, and piles of droppings or what looks like sawdust. Homeowners in the Southwest and California should look out for drywood termites. They create colonies in the wood instead of the ground, and they need very little moisture. Watch for piles of droppings or swarms of termites flying out of the wood. If you have a wooden house, especially a log cabin, get the house thoroughly inspected before moving in. “It’s silly not to,” Troyano says. Cockroaches are a big problem in crowded cities and apartment buildings. While they don’t actually cause damage to a home, they’re Troyano’s pick for the second-worst pest type because they require professional extermination — and they’re just gross. 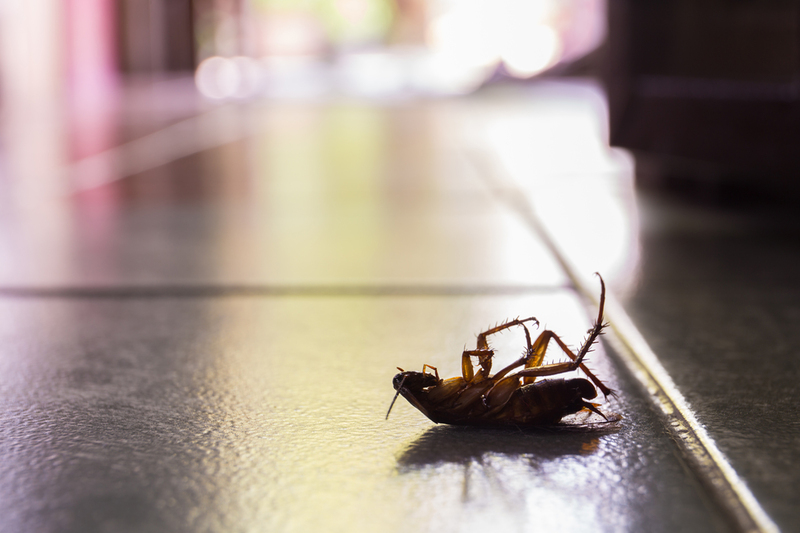 Cockroaches are attracted to food and garbage, and they’re usually brought in from the outside. Secondhand or rented furniture is a big culprit of cockroach infestations. The one “upside” to roaches is that they’re big, so you will definitely know when you have a problem. Most unwanted critters are pretty harmless — just annoying. Luckily, pests that are actually dangerous to your health are not too common — although they are still a concern. After the Zika outbreaks, mosquitoes are generating more concern than in the past. Standing water creates a breeding ground for these pests, so try to minimize the water that collects around your home. Bed bugs are a big issue in cities, where it’s easy for them to be brought in by furniture, clothes or people — and they’re notoriously hard to get rid of. Homeowners with pets should also be wary of ticks and fleas. Bugs aren’t the only unwelcome guests you may encounter — rodents are out there too. Bird feeders are a “mouse buffet,” says Troyano, so keep an eye on those. Mice are also drawn inside to escape the cold, so homeowners in colder climates should make sure their homes are sealed tightly. Then there are our flying friends: bats. Bats are usually found in homes with attics or chimneys, because they like to hang out in dark, cavernous areas. You can easily lure out one or two bats, but if you have a big problem, you’ll want to call a professional. A word of warning about these winged creatures: They can carry rabies, so be careful with any DIY measures you undertake. The types of pests you will have to deal with largely depends on where you live. Tropical, humid places like Florida are breeding grounds for water-loving pests like mosquitoes. In wooded areas, you will find spiders, ants and beetles. In the desert, you have to worry about snakes and scorpions. Be diligent about keeping screens on your windows to prevent the majority of these pests from getting inside. Your house itself will also determine the kinds of pests you get. Log cabins are the most pest-prone homes, attracting beetles, termites and bees, reports Troyano. And houses with vinyl siding or brick tend to be safer bets. Older homes are also a concern, because they are full of cracks and crevices where pests can enter or take up residence. Spiders and silverfish love these nooks. Beetles and bees can get in through small cracks in windowsills or screen doors, so make sure you have sealant around entryways and windows. New construction homes come with their own issues. The fungus beetle has been nicknamed the “new-house pest,” says Troyano. When wooden beams are exposed to the elements during construction, they gather moisture, which attracts fungus beetles. These tiny beetles are very common and will go away on their own once the material dries — but that could take up to a year. The other issue with new construction homes is that clearing a plot of land displaces a ton of bugs that are going to be looking for a new home. The good news is that most pests are easily lured out of the home. Troyano trains people on the biology and behavior of pests. So rather than going in blindly and putting down a pesticide, she says that you can “outsmart” the bugs. “If I have an ant problem, and I know what they like to eat, I will take away their food source,” she explains. But also think about how the critters are getting inside. Plants and trees can act as a super highway for pests. “I’ve watched ants walk along tree limbs into a home,” Troyano says. Don’t let them inside. Keep your house sealed up nice and tight. Use window screens, seal window and door frames, and plug up other exterior entry points. Keep your home’s exterior tidy. Mow grass regularly, trim shrubbery and trees to prevent branches from touching your home, and keep mulched beds away from the house. Watch for water pools and drainage issues. You don’t want water pooling up by your home’s foundation. Make sure your gutters direct water away from the house. Similarly, you don’t want hills sloping toward your house. You’ll also want to prevent mosquitoes from breeding in your yard by keeping an eye on stagnant pools of water, like birdbaths. Inspect your house inside and out. Regularly check for signs of pests. This post presented by Lidia Ryan originally appeared on Zillow Porchlight - Home Improvement.